Cimarron Lightning, .38 Spl, Like New! Description: This listing is a very gently pre-owned Cimarron Lightning revolver chambered in .38 Spl. 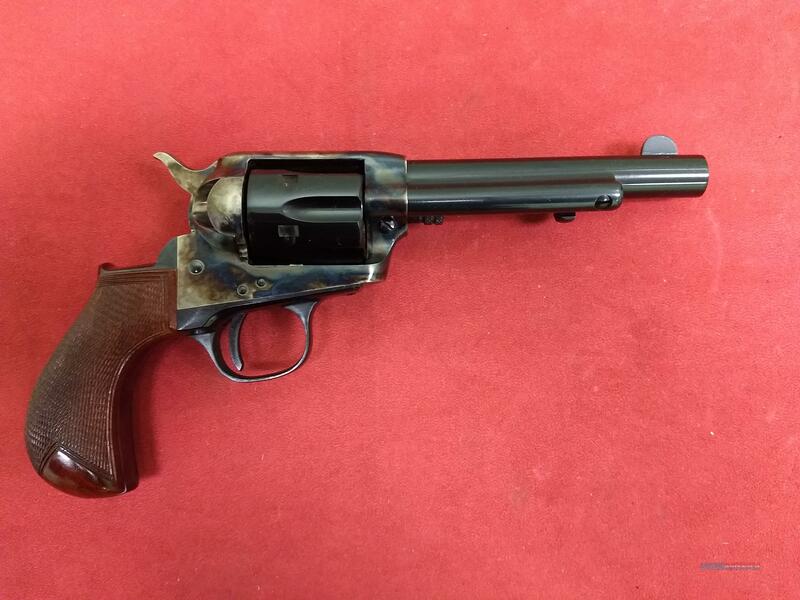 This svelte and handy revolver only misses "like new" status due to some finish wear on the face of the cylinder. The chambers and bore are clean with no obvious evidence of corrosion. The lightning is nice in that it is only about 70 percent of the size of a Single Action Army. Combine that with the highly ergonomic bird's head grip and you have one handy back-up gun in a highly popular caliber! No factory box or papers.